February is Pet Dental Health Month and a good time to focus on the health of your dog’s mouth. 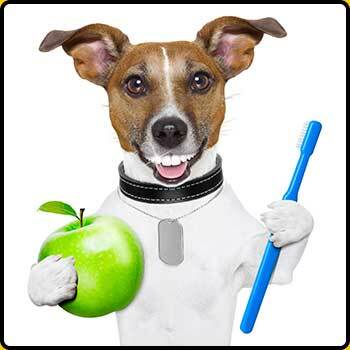 Many dogs have significant problems with oral health, and gum disease is one of the most common problems seen by vets. An unhealthy mouth can result in a build-up of plaque and tartar which, in turn, can cause loose teeth, sore gums and gingivitis. Watch out for excessive drooling, or red gums. Also, check his breath. If your dog’s breath is particularly offensive, it could be a sign of gum disease. To check his teeth and gums, wait until your dog is relaxed, then take a look at his teeth to check for cysts, or tartar build-up which is brownish in colour. You may need to lift his tongue to see the bottom row of teeth. Canine tooth brushes and teeth-cleaning kits are available, or you can use a paste made up of baking soda and water applied with a soft gauze. Never be tempted to use human toothpaste as the fluoride they contain can be poisonous to dogs and puppies, or at the very least can irritate a dog’s mouth and stomach. Use the brush or the gauze at a 45-degree angle to the teeth and clean in small, circular motions. Work on one are at a time. You may need to do this attempt this in short stages over a number of days as your dog may become impatient with this new procedure. Chewing is a natural behaviour in dogs so give him natural chews and specially-designed dental toys that will exercise his jaws, prevent boredom and clean his teeth. 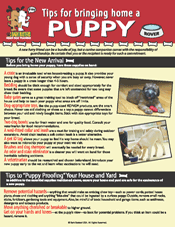 There are lots of these available from pets supply shops or pet supermarkets. As with all aspects of care and examination of your dog, make sure you get your dog used to the procedure in a kind and gentle way. If your dog initially objects to you putting your finger in his mouth, try covering your finger in a dog-safe brand of peanut butter, paste or cream cheese so that he regards the activity as rewarding.